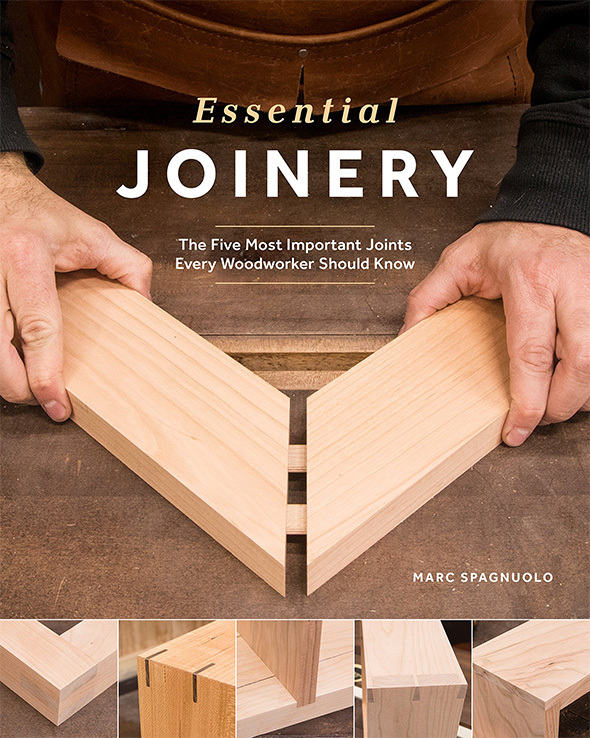 Marc Spagnuolo, The Wood Whisperer, is coming out with a new book – Essential Joinery: The Five Most Important Joints Every Woodworker Should Know. If you’re not familiar with the name, Marc is a great woodworker and fantastic at showing and sharing his skill and experience in videos. (Here’s his YouTube channel.) His is one of the channels I’ll visit first when I have a few free minutes, and I seek out his videos when there’s something I want to learn or be refreshed on. His new book is focused on joinery, and the description says it’ll cover different techniques for accomplishing the different joinery styles. I want this book to serve as the “missing manual” for joinery. A book that fills in the gaps left behind by existing publications (pun intended). While the subject matter is very beginner-friendly, I suspect that even experienced woodworkers will have something to gain from this book. I preordered a copy through Amazon, and am really looking forward to it. I’m not a woodworking beginner, but I definitely do need more practice and skill. What I’m hoping is that Essential Joinery provides me with tips, tricks, and inspiration. If Marc’s writing is anything like his videos, I will at least be entertained, but I also do expect to learn. Marc came out with his first book a few years ago, Hybrid Woodworking, and while it has been on my wishlist for a while – and still is – I haven’t ordered it yet, despite that book’s stellar reviews and my fondness for Marc’s content. Maybe that will be my second read. « New Ikea Smart Lock (Rothult) – Perfect for DIY Tool Storage Projects and Hacks? I too am a Wood Whisperer fan, and I too am looking forward to this book. I particularly like the way he achieves really (really!) high quality results without maximizing the time/faff needed to achieve them. 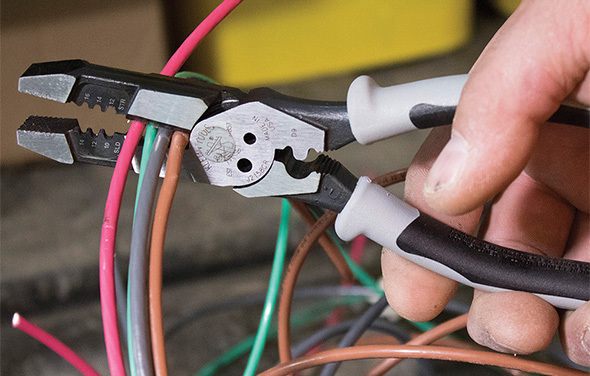 If I’m stuck for a challenge with a project or for a technique (or how to use a tool), his is the first place I go to. Also, where do i find that twist blade he uses in the beginning? From what I’ve read is that some people make them from band saw blades and put the twist in themselves. Super chap………. I met Frank probably 10 years ago at a woodworking show. I actually have an autographed piece of pine trim he was working on. Please excuse if I have hijacked the post. Stu, you missed the presale on his guild site where he included a free guild project (from a pre determined list). It ended Jan 16th. I learned about it during the last day of the promo, but missed the deadline for my own preorder, and to post about it. Would have been nice if a guild item I was interested in was included in the offer. So does the pic on the book cover show using dominoes? Looks like fat dowels. Am I seeing that wrong? I like Marc’s videos – they happen to also be on Amazon Prime FYI. OR some are. But I do like Marc’s videos and his Hybrid approach. I do agree with that I’d just like to see more lower tier or beginner tier style tools for use. Could be a floating tenon. That would involve routing (or drilling) pockets into mating pieces, and joining with a loose double-ended tenon, either DIY or available premade.